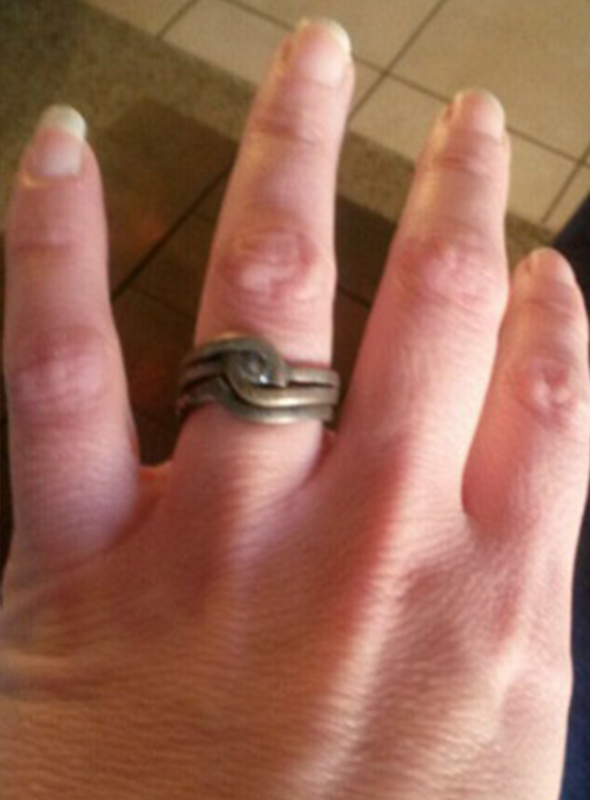 The discovery of the undamaged ring in the ruins has become a symbol of hope for the family. 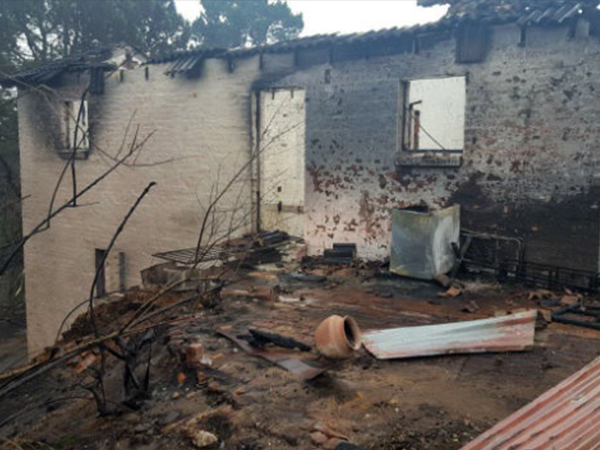 Buried in the wreckage of the devastating Knysna fires, one family has found some hope in their gutted home. 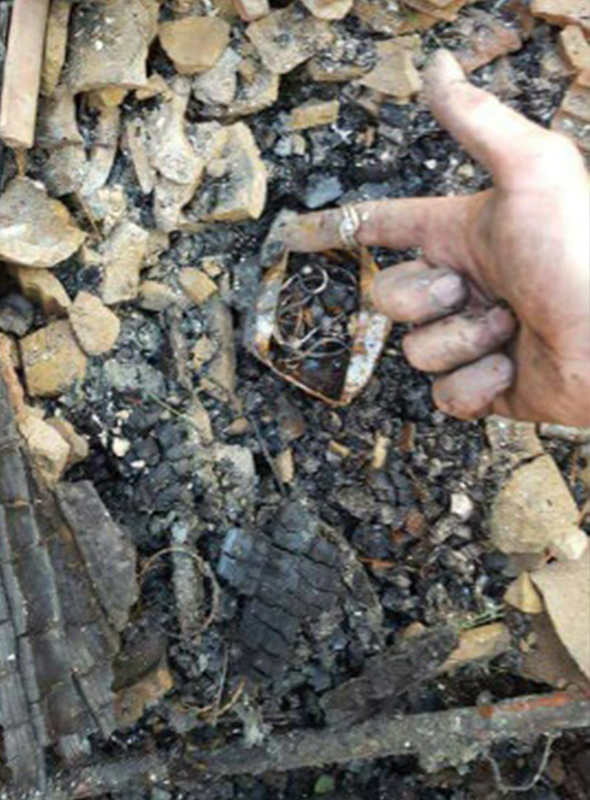 Amongst the debris and soot, the Kapp family, whose cottage was completely destroyed, found Colette Kapp’s wedding ring undamaged. The Knysna fires, which claimed the lives of seven people, including a firefighter and a four-year-old, destroyed homes and displaced more than 10 000 people. The Kapp family, who returned to South Africa in January from Australia, had rented the cottage from a family member. They decided to evacuate the premises last Wednesday when their home was consumed by smoke. The Kapps, along with their two sons – Evan, 8, and Owen, 6 – fled with just the clothes on their backs. Later that evening, Kapp realised that she had left the ring, that her husband had made for her 13 years ago, behind in the inferno. Kapp said she felt sad about leaving the ring behind, as it had sentimental value. The cottage, along with all their belongings, was completely destroyed by the raging fires, and the main house on the property was damaged. Kapp’s husband, Neil, returned to the cottage to search for the ring. "My husband went by himself. I did not know he went looking for the ring. He was there for about an hour and a half before he found it," said Kapp. Kapp was elated when the ring was returned to her and was surprised it wasn't damaged. "I felt so happy. Of all the things we left behind, that meant the most to me." Now the Kapp family are rebuilding their lives in Knysna. "We were renting from my father-in-law. We are looking for a new rental at the moment. My father-in-law is planning to rebuild and sell. We still love Knysna and the community is awesome," said Kapp.